Painting became a way for Sam Kirk to come out and talk about her identity. Now she's using it to celebrate mentors for others like her. 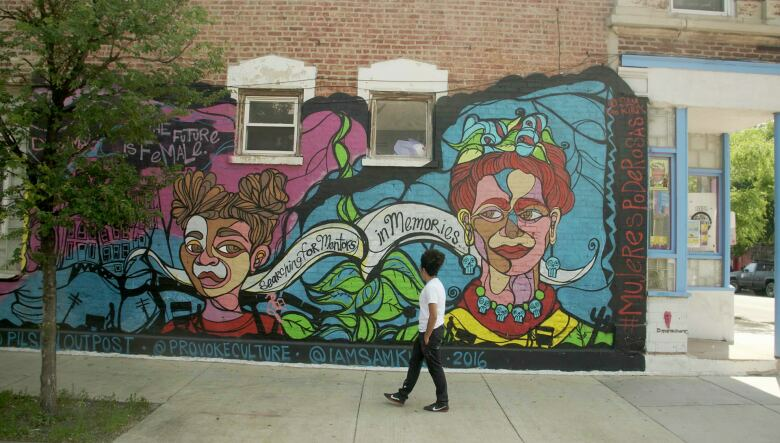 Chicago artist Sam Kirk started painting when she was 13, and art became a way to talk about her identity. "I used art as a way to come out," she says. "Growing up in a Latino community and being queer at the same time, you're not really allowed to talk about that, or it feels like you're not allowed to talk about it." "So I started to paint about identity and use art to celebrate who I am." Now Kirk is painting murals on Chicago walls to speak to young girls and help address the lack of mentors others like her have to look up to. Her latest mural is transforming the outside of a local youth centre and is titled and depicts "La Diosa de Oro" (The Golden Goddess), one of the first female matadors in Mexico. Through her work painting mentors, Kirk is herself becoming one to a younger generation. 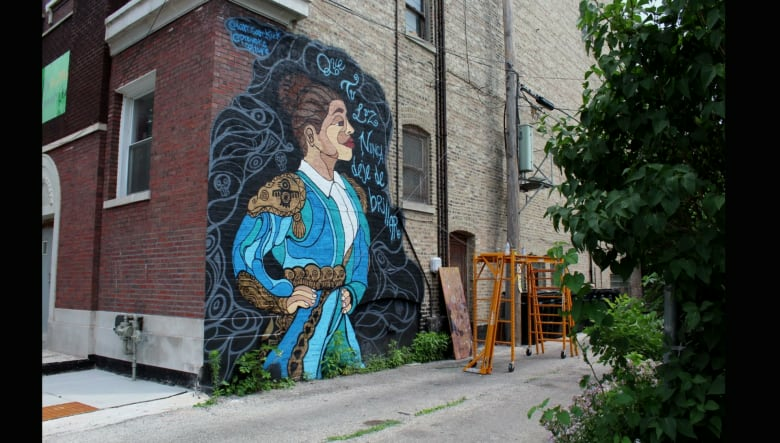 "To see a woman in these neighbourhoods doing mural work or spray paint work — that's not something they see that often." See more of Sam Kirk's story and other artists from Chicago's diverse art scene pushing back against segregation and violence in Interrupt This Program: Chicago, Friday November 3rd at 8:30PM on CBC TV and online.